And the children’s teeth are set on edge.” So went a proverb among the ancient Israelites who had been deported from their homeland of Judah to Babylon. Their lament was that God was punishing them for the sins of their fathers, but God replied “As surely as I live, declares the Sovereign Lord, you will no longer quote this proverb in Israel” (Ezekiel 18:2-3). However, God did not specify when they would no longer have reason to quote that proverb. Nebuchadnezzar, the king of Babylon, carried out three deportations of the Israelites in the kingdom of Judah, and at the time of Ezekiel the first two had taken place – the third and final one was yet to come when the Babylonians utterly destroyed the city of Jerusalem in 587 BC. Obviously, the teeth of those in captivity were to continue to be set on edge for a while longer. It was necessary for them to be deported because of their having broken God’s law, but in time, they would be restored to their home and this proverb would no longer be used. So what has this to do with DACA? We hear the same proverb used as justification for granting these individuals – also referred to as “Dreamers” – legal status and ultimately citizenship. It wasn’t their fault; their parents brought them here, so why should they be punished with deportation? It is very unfortunate, but sometimes in order to stress the value of something it must be taken away for a time just as God had to do with the Israelites. We are a nation of laws. The law – as Thomas Paine put it – is king in America. Why should anyone here in our country illegally, regardless of how they got here, have any respect or adherence to any of our laws if they broke the very law governing entrance into our country? The answer is there is no reason to and many times they do not. If we want to stop people of other nations from coming into our country illegally, then one sure way is to deport those already here illegally regardless of the circumstances of their arrival. This would send a clear message that others should not waste their time trying to cross our borders as they will not be given any opportunity to stay, but instead will be sent back to their country of origin immediately. The United States is a sovereign country, founded on the principle of adherence to law and the expectation that those who are in the United States are here because they followed our law for admittance. Does this mean I think our laws regarding immigration are perfect? No, there are changes that need to be made, but without the enforcement of our existing laws we become a lawless society, for why should any of us obey any other law if those who have no stake in our society refuse to obey from their very first act of coming onto our soil? 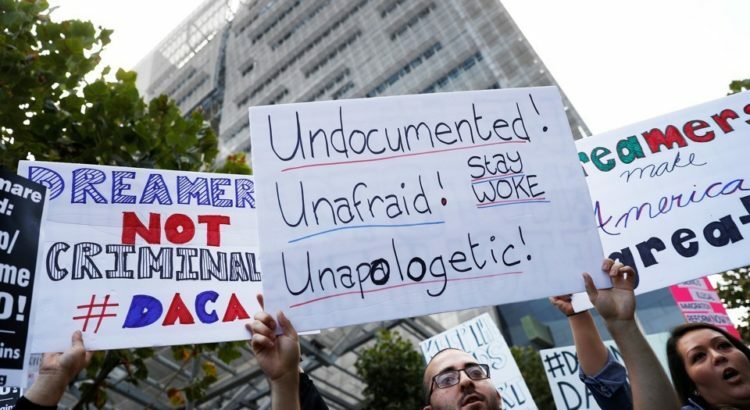 If the “Dreamers” want someone to blame for their “teeth being set on edge”, they need look no farther than their parents, not the citizens nor government of the United States. We’re all familiar with the adage that “The road to hell is paved with good intentions.” This adage is one that applies to the third “fix” I wish to address, namely the 14th amendment. The 13th, 14th, and 15th amendments compose the trio of “reconstruction amendments” that were necessary to ensure that the newly freed slaves in the South were acknowledged to be citizens and entitled to the full rights of white citizens (although there had been a huge number of non-black slaves in the South as well, and these amendments would also have applied to them). The need for the amendments arose when President Andrew Johnson vetoed as being an unconstitutional overreach of federal power, the Civil Rights Act of 1866 that acknowledged these rights as being afforded to the slaves. The former slaves were not being accorded their due rights as citizens and it was determined that it was best to amend the Constitution as that would nullify the president’s veto argument and could not be overturned by a future Congress as easily as a piece of legislation could be. This logic is sound. However, as well intentioned as this action was, because it was not more clearly defined, the courts over the years have been able to expand upon it and make applications that have led to a major issue with our illegal immigration problem. It was never intended by the authors to grant citizenship to anyone simply because they were born on US soil – that language was inserted to make it clear that the former slaves who had been born on US soil were now to be considered as citizens; futuristic application to those who had not been slaves was never intended. Such is an application of constitutional originalism. A second issue with this amendment is the abuse that has been made over the decades of the so-called “Due Process” clause. It was unfortunate that this was inserted as the Constitution in the 5th amendment already guaranteed this right. Because it was joined in this 14th amendment with the use of the word “person” in conjunction with this clause, it has been interpreted by the courts to mean that all those on US soil are entitled to the rights of citizens in this regard. Again, that is taking this amendment out of its historical context, and as we see has contributed to several of our ills today related to immigration and the attending failure to assimilate into our culture. So was this amendment necessary? Yes, unfortunately it was. Yet the amendment clearly illustrates the law of unintended consequences and needs to be rectified, not by statute or court rulings as these can be overturned by future legislation and court rulings, but amended to clarify the meanings that it was originally intended to set in place. In the debate over immigration, those advocating for open borders and legalization of those who enter our country illegally are often heard to assert that these individuals have “constitutional rights”, but do they? To answer this question we must return to the understanding of exactly what a constitution is and why they are created. A constitution is a compact – a contract if you will – between members of a society in which they agree with one another as to what authority they will cede to a government that will rule over them in order that society might be orderly, and the rights and property of the citizens be protected. However, not all constitutions are of this exact nature; it all depends upon who drafts the constitution for the society. For example, the old Soviet Union had a constitution, but it was created by those in power to secure their power over their citizens, not for the benefit of the people. Our constitution is different. 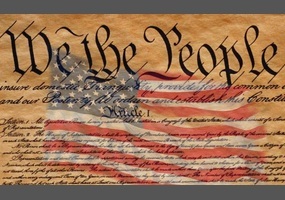 All you need do is read the opening words of the Preamble – “We the people of the United States…do ordain and establish this Constitution for the United States of America.” In our constitution we see the definition of a constitution that I stated above. 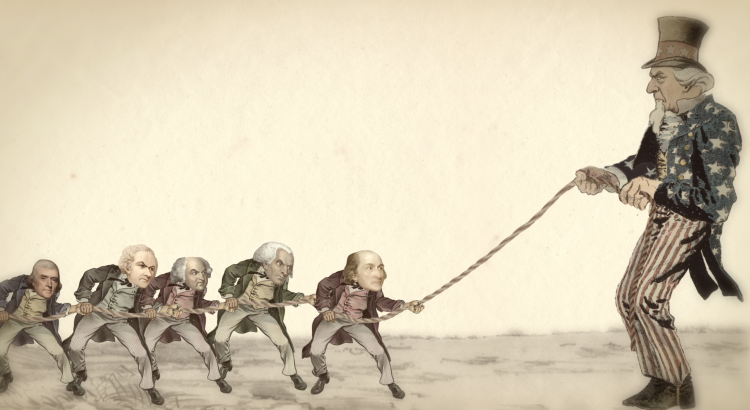 We – the citizens of the United States – agreed (and each generation continues to agree amongst ourselves) that the powers contained within the Constitution are those, and only those, which the government may exercise over us, and all those not granted to it reserved, ultimately, to us, the people (Amendments IX and X). Within the first eight amendments certain of our rights are enumerated and guaranteed to be protected from government encroachment. However, again, to whom are these guarantees given? Remember, these are part of a contract that “We the People” made and continue to agree to as belonging to us, American citizens. Those who come to our country illegally have never entered into this agreement; they are not part of our society, though they live among our society. They have no allegiance to our principles of government and society, and have not assimilated into our culture, learned our language (English), nor come to an understanding and appreciation for our history and the sacrifices of those before who made our country the greatest on earth. This being the case, therefore, they do not have “constitutional rights” or guarantees as they have not become a part of “us” who agreed to continue that contract established over 200 years ago. They have inalienable rights granted to them by our Creator, but constitutional rights, no. You see, rights are those things that no one has the authority to give or take; they come from our Creator. A constitution cannot grant rights, only protect or restrict them as agreed to by those who created and perpetuate it, and illegal aliens living among us are not of us nor parties to our contract known as our Constitution. These past two weeks we have heard much on the topic of “unity” as the two major political parties strove to convince their delegates on the need for them to be “united.” In the Republican convention they went further and stressed the need to “make America one again” as the theme of one of their evenings. It is unfortunate that such an emphasis should be deemed necessary, but today we are indeed in dire need of being “one” again. We as a country are more divided than any time in my lifetime since the 1960s’. I could never have imagined Americans reverting back to the horrendous divisiveness of that decade, and yet we have. However, as one studies our history unity has always been rather tenuous, from the debates over how to form a “United States” to a war between the states through the turbulent decades of social unrest and change of the last century. Yet today, is this the common thread among us? It strikes me that there is more of a desire to fracture ourselves into different groups and to obtain benefits for our group at the expense of the others and that we are being flooded with people from other countries who desire the freebies available to them and not to become united as part of the American fabric. Unity and freedom will never be achieved from such seeds. Only when we acknowledge that to achieve true individual freedom we must come together based upon common grounds will freedom and unity be realized. “If this process of assimilation draws foreign peoples closer together, it is all the more true that the branches of the same people cannot stay strangers to each other. Or, as he could have said, E Pluribus Unum: “Out of many, one.” Hopefully, when this election season is over we can once again be united as one. It has been said that without secure borders, where illegal immigration proceeds unabated and unchecked, you have no country. Yet even with legal immigration, without assimilation you have no nation. You may think these two terms, country and nation, are one in the same, but actually they are not. The term “country” more specifically can be defined by geographical measures – boundaries or borders if you will – as they define the physical scope of a people’s sovereignty. On the other hand, “nation” carries with it a connotation related to the people within a country. A nation is a collection of people who reflect a specific identity that distinguishes them from the other nations of the world. Thus, when someone speaks of “the French”, a profile of what those who live within the borders of France immediately comes to mind that is peculiar to them. The same could be said for every other nation and used to be said of us, Americans. Alas, that distinguishing identity is quickly vanishing. It used to be that when the rest of the world spoke of “Americans”, there was something special about that designation. Even in the eyes of our enemies it evoked envy in that, as in the case of communist regimes, they were not able to match the accomplishments of our unique culture, driven by our economic and political systems, both of which tied back to our unique identity. However, when we allow individuals into our country who have no desire or intention of taking on the traits that identify one as an American, that special, unique identity becomes more and more diluted until it becomes no longer recognizable by both those within and without our borders. The things that made us great – the belief in inalienable rights of all people, personal responsibility, the political philosophy of limited government and individual liberty, all based upon the dignity and man and the sanctity of life – are being assailed on every side, and their diminishment is leading us down the pathway to oblivion. When we assimilate it does not mean that we give up our individuality or those traits of the ancestry from which we came (as in the case of the Borg of Star Trek fame), but rather we incorporate those American traits into ourselves. 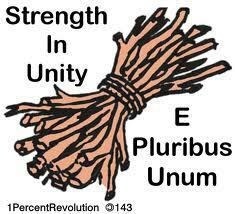 It is these traits, along with a common language and pride, that bind us together as one people, just as our motto states: e pluribus unum – “out of many, one”. In a recent episode of Dennis Michael Lynch’s program “Unfiltered” on the Newsmax TV channel, a guest pointed out that that in 1970 the immigrant population of the United States totaled 13.5 million, or 6.6% of the total population. Today, that number has grown to 61 million or 19% of our population and growing rapidly. What makes this more alarming is these individuals are not integrating into the American culture and identity like immigrants in times past, and this trend must change or we will be changed forever. Thomas de Maiziere, Germany’s foreign minister, gets it. He said that he will push a new law that basically tells immigrants in Germany to either learn German and assimilate into the German culture or lose their residency status and be deported. America needs to follow Germany’s lead. Unless we secure our borders and re-evaluate the goal of our immigration policies, we will no longer have a country; but, it will not matter as we will also have ceased to be a nation. For Whom Was the Constitution Written? Presidential candidate Donald Trump has been under fire for his statement that we should ban all Muslim immigration and visa visitors for a temporary span of time until we can better vet the background of these individuals. I have heard several criticisms of this proposal that are both ludicrous and ignorant. Senator and presidential candidate Marco Rubio has stated that such a prohibition is unconstitutional. Others state that it violates the principle of freedom of religion as espoused in the first amendment. A third claim made Thursday evening by former NYC Mayor Rudy Giuliani, was that “we do not have the right” to prohibit a group or class of individuals from entry into our country. The first objection that it is unconstitutional belies a lack of understanding of our Constitution (something I would think an attorney, Senator and President-wanna-be should know). To support this assertion we must ask “For whom was the Constitution written?” One needs look no further than the Preamble to the Constitution to ascertain the answer to this question. It was the citizens of the several states through either direct election (Rhode Island) or through their representatives in either their legislatures or conventions who comprised “We the People.” This did not include everyone who resided in the territory of the states at that time. It wasn’t until the passage of the 13th, 14 th and 15 th amendments that the securities of the Constitution were expanded to those previously enslaved (both black and white). The Constitution was ordained and established for the citizens of “the United States”, not “we the people of the world.” The Constitution says nothing about our obligation or requirement to admit any and all who wish to enter our borders. By prohibiting the importation of those practicing Islam the federal government is not “establishing a religion” for the United States. Nor is the government prohibiting these individuals from “the free exercise” of their religion – they are at liberty to practice it in their home countries or some other Islamic country. It is no different than when a couple of years ago we prohibited individuals from countries experiencing an outbreak of Ebola from migrating en mass to our shores. Finally, the statement that we have “no right” to prohibit any group of individuals from entering our land is patently absurd. Coming to the United States and living among us is a privilege, not a “right.” A true “right” is of the caliber identified by Jefferson in our Declaration of Independence, i.e., one that comes from our Creator. Migrating to one country from another falls far short of this bar. I might add to this that citizenship is also in this category inasmuch as citizenship can be taken away or revoked by the government since it is the entity that bestows citizenship (see Article I, Section 8, Clause 4 of the Constitution). It is the inalienable “right” of the citizens of this country to be secure in their life and liberty and it is the responsibility granted to the government by those citizens to make those rights secure, which includes keeping out those who might do harm to those rights. One final question to be addressed, is “Why not adopt the position of Senator Rand Paul and only limit Muslims from a list of countries known to pose a threat?” To answer this I merely point to the recent atrocities in Paris, France. Some of those perpetrators came across the French border from other European countries. There are millions of Muslims living in France, England, Sweden, the Netherlands, etc., and if these countries were not part of the “list” of forbidden countries, then there would be no way we could prevent Muslim radicals from entering the US from one of those nations. A number of states are forbidding the federal government from settling within their jurisdictions some of the thousands of Syrian refugees President Obama wants to admit into the US. The President has declared that he will force the states to accept however many of these refugees as he sees fit, and so the stage is set for a major constitutional showdown, like two gunslingers in an old western movie squaring off against one another. The outcome of this confrontation is far more critical to the future of what’s left of our republic than the welfare of these refugees. It goes to the very heart of the structure of our federally constituted republic and whether or not we shall finally fall into the pit feared by the Anti-Federalists at the time of the ratification of the Constitution by becoming a singular nationalized country instead of a union of independent, sovereign states. To begin with, nowhere in the Constitution is the federal government granted the authority over the matter of granting refugees admittance. You can read it forwards and backwards, but that enumerated power is not stipulated. This being the case, then this authority must be a power retained by the citizens of the several states, who in their capacity as a body politic, according to the tenth amendment, have every right to make the determination as to the settlement of refugees within their borders. In order to substantiate that naturalization includes authority over immigration, he has to fall back on the authority of the federal government to deal with foreign nations. Really? Such so-called reasoning flies in the face of etymology and our early history (which would be the best indicator of which “sphere of influence” this matter resided). In light of this and President Obama’s threat, we need to step back and consider the structure of the relationship between the federal government and the states as it was originally intended. In his throwing down of the gauntlet over this issue, the President is claiming that the federal government can set aside the wishes of the citizens of a state in regards to matters that are constitutionally retained by them. The question becomes, ”Does this assertation comport to the form of the union created by the Constitution?” Our system vests sovereignty in but one place – the people of the several, yet united, states. The sovereign people of the states agreed to grant authority (or limited sovereignty if you will) to two spheres – the federal and state governments – via constitutions. It is in the US Constitution we see the spheres of authority between these two entities clearly delineated, and that neither “sphere” is permitted to invade that of the other. To apply this to our current showdown between the states and President Obama, if the matter of admitting refugees is a matter left to the discretion of the states, and “If the entire federal government possesses no supremacy over, and can require no subordination from the entire state governments,” then for Obama to claim he can force the states to do otherwise is to turn Taylor’s principle on its head, namely, that if one part of the federal government can eviscerate the authority of the states in one matter, then the entire federal government can do likewise in all areas, and the significance of even the semblance of states’ existence is reduced to the theatre of the absurd. First, I will concede that Scripture teaches us to help the needy, the oppressed and the poor among us. Yet every one of those passages are addressing us as individuals. We are to help those less fortunate “as we have the ability.” We have the example of the Gentile churches in the book of Acts (and as recorded in 1 Corinthians) sending their collective funds to the needy Christians in the Jerusalem church. 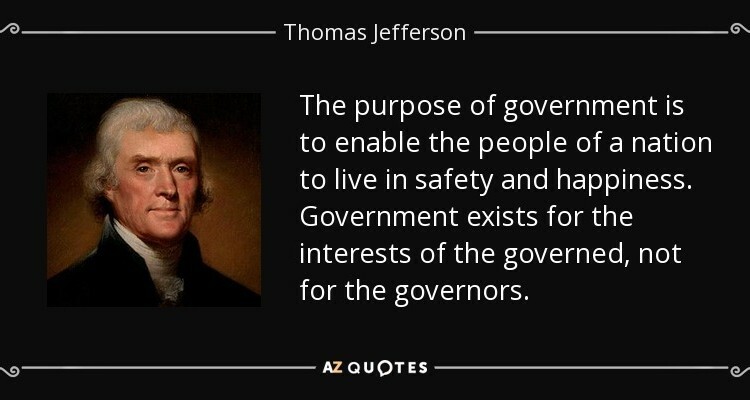 Having said this, however, it cannot be extended to government, for that is not the purpose and function of government. Individuals form societies from which governments arise because they need a mutually agreed upon entity to ensure that everyone’s rights are equally protected. For this reason they give over to the government some of their natural rights so that justice and orderliness might prevail. In short, the purpose of our government is to protect our inalienable rights of life, liberty and property, and as is stated in the Preamble to our Constitution, to “secure the Blessings of Liberty to ourselves and our Posterity.” For the government to allow into our society those whom we are unable to vet regarding their threat to our inalienable rights is a monumental failure of its prime directive. It is also a failure for it to bring into our republic those who will not assimilate into it and adapt our values, for in so doing the very fabric of our society (and by extension our liberties) will be unraveled. As for waging unrestricted warfare against these who are sworn to the barbarism we have witnessed over the past two decades, remember that God has throughout history used governments to punish peoples and nations. Paul wrote in the book of Romans that governmental authorities “do not bear the sword for nothing. He is God’s servant, an agent of wrath to bring punishment on the wrongdoer.” Also, the Lord through the prophet Isaiah called the godless nation of Assyria the “rod of my anger…against a people who anger Me.” How are we to know whether or not we, the United States, are today the “rod of God’s anger” to destroy the evil being perpetrated against Christians and other innocents by these monsters? Bottom line, if you wish to contribute to some charitable organization to assist those refugees, such is the “Christian” thing to do; but such is not the purpose of government. Its purpose is to protect us from evildoers and to punish those who seek our destruction. As Vladimir Putin, certainly no Christian, aptly put it in regards to the terrorists: “It’s up to God to forgive them; sending them to Him is up to me.” For once, I agree with Putin; if only we had a president who understood this duty as well. Our debt is soaring, our unfunded liabilities are beyond comprehension, deficit spending continues unabated, and Congress refuses to make the tough decisions to solve any of these problems. Instead, they persist in perpetuating them via one “continuing resolution” after another instead of a responsible, balanced budget. However, as I pointed out seven weeks ago, just balancing the budget is not going to solve our problem – it will help and is a good first step, but there is no single, one-step solution, as I’ve spelled out over the past six weeks. So here is a recap of the several pieces I’ve put forth that must be employed simultaneously to bring us back from the brink of fiscal and economic collapse. Freeze our spending at current levels. Prioritize items and increase spending in areas desperately needed and constitutionally required while cutting back on those not constitutionally permitted. This would include immediate elimination of all government subsidies to businesses and organizations not constitutionally eligible for government funds. Eliminate all duplicative programs/agencies. Begin a five-year step down elimination of the funding to all unconstitutional agencies/bureaus at which time they will be eliminated completely. Return control of non-nationally related duties to the states as was intended by our founders. Repeal the Administrative Procedure Act of 1946 and force Congress to assume all legislative responsibilities and the courts as the sole avenue for adjudication of disputes. Return to the welfare reforms put in place in the 1990s’ (and expand those reforms). By removing government’s heavy hand from our economy as stipulated in points two and three, we will experience economic growth that will provide employment opportunities to those currently on welfare – give people a hand up via a free economy, not a hand out from government dependency. Place a freeze on legal immigration and clamp down hard on illegal immigration, including the deportation of all those who are here illegally. Those here via both means constitute competition in the job market for Americans and place a huge drain on our overly generous welfare system (see point number four). As I’ve tried to outline, albeit briefly, each of these areas must be done in concert with each other. Some may be accelerated and fast-tracked so that they are accomplished sooner than others, but they all should and must be completed within a five-year time period for one simple reason – we’re out of time and the edge of the fiscal cliff is upon us. A debate can easily be had over what is the greatest threat to the US today. Credible arguments can be made for international threats from ISIS, Russia, China and Korea. However dangerous as those threats are thanks to the deliberate evisceration of our military and global strategy by this president, the more immediate threat comes from within, again thanks to Obama and his minions in Congress as this threat is not only a danger to us in the form of terrorism, but even more so in financial terms. So, as we are looking at solutions to corralling the government’s runaway spending we must while implementing the previous four parts I’ve suggested turn our attention to the threat of immigration, both legal and illegal. It cannot be denied that illegal immigration places a heavy burden upon our financial stability as these individuals cost schools, cities, counties, and states, in additional to the federal government, much more than they can ever hope to contribute. In addition they take jobs that could/should go to Americans (despite the false argument that they only do jobs that Americans won’t do), thus compounding more financial worries upon those unemployed and straining government budgets at every level. Legal immigration also poses a problem in that those we allow in many times are either highly educated and thus complete for jobs against native Americans with similar education and training (think H1B visas) or they are from the lower economic rungs and offer little to our economy. So, in approaching the issue of immigration both legal and illegal must be addressed. Several argue that we should put a moratorium on all legal immigration, and that would be a needed first step in that arena. We should not be letting immigrants into the country unless we at first are certain they are needed. 2015 America is not the same as 1900 America (or earlier). As for illegal immigrants, there are several things that must be done, all of which have been put forth by various other individuals (for the best information on the threat of illegal immigration I highly recommend the documentary series produced by Dennis Michael Lynch: They Come to America – I, II, III). First, the economic magnet that draws them here must be dismantled. As Milton Friedman stated, you cannot have a welfare state and open borders as those pouring across into the country for all the “free stuff” will overwhelm and sink the system. This means no more public education, no in-state tuition at universities and colleges, no free medical care at hospital emergency rooms, no food stamps, no housing assistance, etc. It also means heavy penalties for businesses and individuals who hire illegals. The enforcement of our immigration laws will not require an expansion of our government, and I’ll outline how in the next installment of this series. 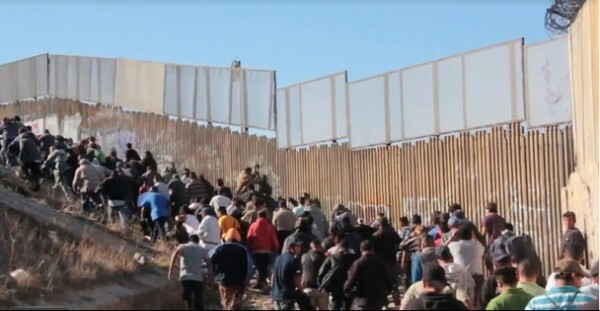 Finally, those caught here must be deported back to their country of origin and the cost of such action be imposed via a corresponding reduction of foreign aid to the governments of those countries or the imposition of a tariff fee on imports from them (limited strictly to the cost of deportation). This is the only way to incentivize those governments to focus on improving their own lot instead of sending their problems of impoverishment to our shores. As you can see, the solution to our looming fiscal crisis is not just limited to “reduce spending” or elimination of duplication in the government or even unconstitutional spending. All of these suggestions I have put forth are part of a fabric that most be woven and implemented together if any are to succeed. The next piece of the puzzle is the other side of the fiscal coin, namely, revenue and how it is collected.